Some card legalities clarify please? Brago and infinite bounce, how does it affect Angel of Serenity exile? 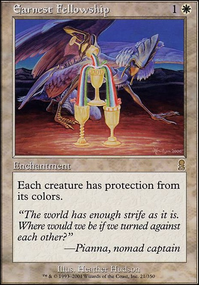 Can cards like Opal Palace be used in Tiny Leaders? 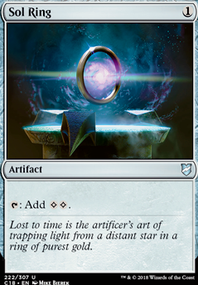 Do I get to stack the order that artifacts return to the battlefield with Scrap Mastery? Craterhoof Behemoth is a strong finisher in a go-wide strat like flying men. You can also add a Natural Order for a second copy at half the cost. If you feel like you could use another board wipe, Evacuation is efficient and has strong tempo potential. Nostalgic Dreams could certainly replace one of your regrowths; I think Call to Mind is sub-optimal. Delay , Abjure , and Arcane Denial are all really efficient counterspells that are worth considering. 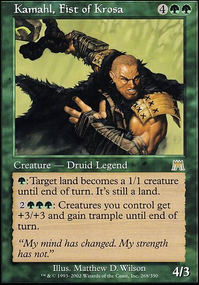 I think this deck needs more Flying Men , they're not hard to find so I won't bother listing a bunch, but I will mention Blinkmoth Nexus as it's often overlooked in Edric. 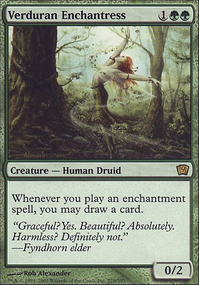 I noticed you're not running any non-creature removal, I'd recommend Natural State and Nature's Claim at least. Thank you for the suggestions. I added a Stax section in the maybeboard for people who want to go for a more staxy version of the deck. The only cards I don't really agree with are No Mercy because it kills off Belzenlok, making it harder to Dread Return , and Nether Void because we lock ourselves out of the game specially because we are not running ramp cards like Sol Ring . The best way to make this competitive is using Strionic Resonator . 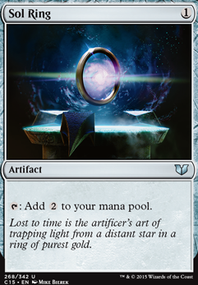 Using two mana rocks, or a Sol Ring , you get and spend two mana to copy Brago's ability. By copying it every time infinitely, you copy the ETBs of your permanents as many times as you want. Generally this instantly wins the game. Spine of Ish Sah and you blow up every permanent of your opponents, Alchemist's Vial and you draw your deck, etc. oh boi, theres alot of things to talk about here so let me try to break the things down simply. Also i saw this from the forum post so im going to assume as a newer player you dont know a bunch of things. what format do you intend this to be? 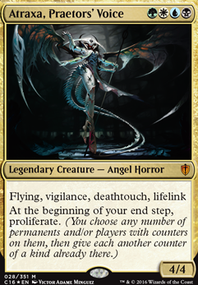 There are quite a few such as standard(the new sets released where cards rotate out cards expire) Modern cards that are from 8th edition going up to the newest sets (this is what im assuming you are after) Legacy and vintage which are basically all the cards (but they have seperate banlists and are very expensive formats) Pauper a format where you can only use commons. peasant a format with only commons and uncommons and EDH or commander a different monster all together which id rather not try to simplify. Theres also casual which you might be aiming for as its an anything goes format. but i do not recommend this personally as overtime as your deck improves you wont be able to take it to tournaments. so my suggestions will be for modern i guess. Budget- Id recommend you would add a budget per card or just an overall look at how you are willing to spend in the description as it greatly helps people. im gonna throw some cheap and more expensive suggestions all together tho. First of all, Sol Ring is banned basically everywhere except for commander and casual so if casual is what you are aiming for and not modern i guess it stays. now, one really important thing in magic, especially for beginner deck builders is consistency. You want a plan, which you have(an army of big artifact tokens). so with that knowledge you build the core of the deck, Basically whatever lets you execute the plan and stockpile up on those effects, in your case is karn and panharmonicon. an additional card i can think of with that effect is Master of Etherium . now some basic rule of thumb on consistency. Youd like 4x of the cards you want to see every game 3x of cards youd like to see every game but not in multiples, 2 of if you can manage not seeing it but definitely do not want a multiple copy and 1x if its a card you dont mind never seeing but can be super good in situations. tho if budget is restricting you from going 4x or 3x when it comes to certain particular cards dont worry too much about it. after you figure out the core of the deck you would most likely want to build the package to support it. a decks support comes in many different variants, in your case you have added controll(through your counterspells and removal) ramp(throught well..ramp cards) and recursion(through the cards that take artifacts out of the graveyard). id recommend that you choose just one of the support packages and drop the others for more room. 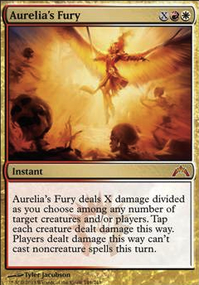 personally i like to go the controll route as a timely removal spell like Path to Exile can save games. try to decide on which you want to persue.